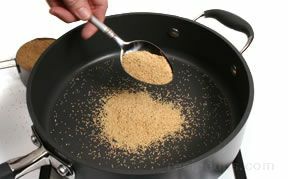 Frying is a dry heat cooking method that generally requires the use of a heavy-bottomed skillet and a small quantity of oil or fat to cook the food and prevent it from sticking to the pan. 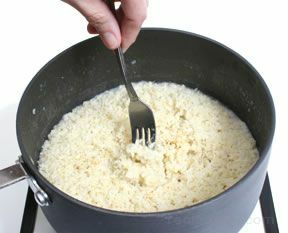 Frying differs from sautéing in that more oil is used and the food is of a larger size; therefore, the food requires more time to cook thoroughly. 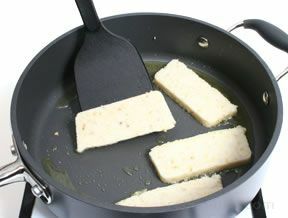 When frying, the food is usually turned multiple times; the food is turned only once when sautéing. 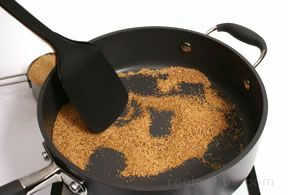 Some grains can be cooked with the frying method, but more often, a dry skillet is used to toast grains to provide additional flavor before the grains are fully cooked with a different technique, such as boiling or steaming. 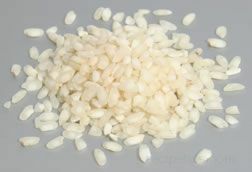 Many grains are cooked first with moist heat methods, such as boiling or steaming; then they are cooked a second time with dry heat methods, such as sautéing, frying, or stir-frying. 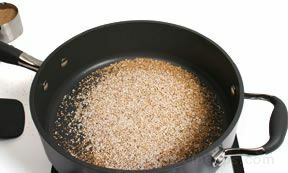 Amaranth grains can be cooked in a dry skillet in order to pop the grains similar to popcorn. 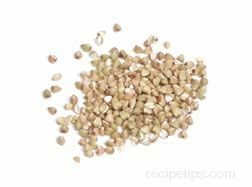 Almost any type of skillet, saucepan, or pot will work when popping amaranth grain. 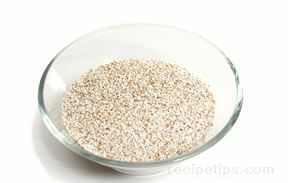 Simply add one or two tablespoons of amaranth to the pan and cook it over high heat. 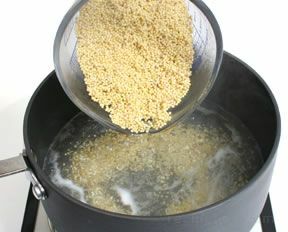 It is important not to add more than one or two tablespoons of amaranth to the pan at one time so that the grain can be spread in a single layer, which allows the heat to be distributed as evenly as possible. 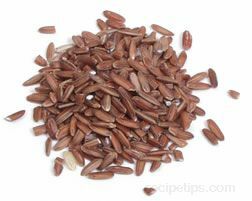 Once the seeds are added to the hot pan, only a few seconds are required to pop the seeds. 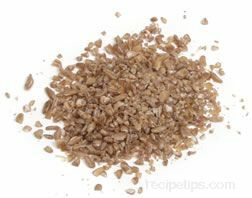 The amaranth should be stirred or shaken constantly until most of the grains have popped. 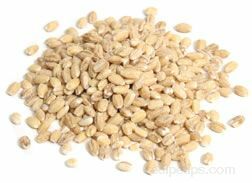 As with popcorn, some of the grains will not pop but will become brown and toasted. 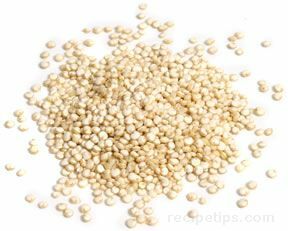 The popped amaranth can be eaten as a snack, a cereal, or it can be used as an ingredient in other dishes. 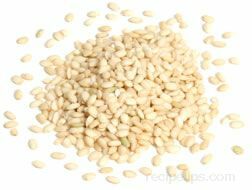 Although the amaranth seeds pop into a white puff like popcorn, the popped seeds are still very small and can be quite difficult to eat as a snack. 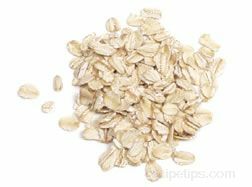 It is more often eaten as a breakfast cereal with the addition of milk, fresh fruit, and sugar. Popcorn is a type of corn that is well suited for cooking with the frying method. 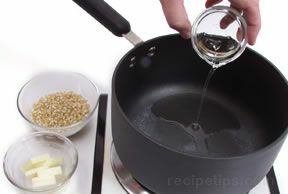 Using a heavy skillet or saucepan, the popcorn is popped in cooking oil over high heat. The popcorn contains a high moisture content, which creates steam when the kernels are heated. 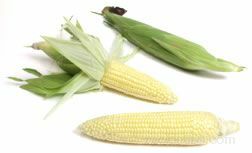 The build up of steam is what causes the kernels to explode and pop open. 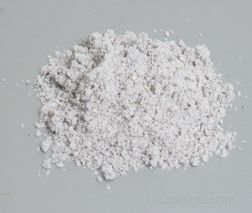 Although cooking popcorn in a pan over a heat source is still very popular, it is cooked less often with this method because of the popularity and convenience of microwave popcorn. In fact, many younger people are unaware that popcorn can be cooked on the stovetop rather than in the microwave. Preparing popcorn the old-fashioned way still has an advantage over microwave popcorn: The home cook can control the quantity of oil and salt that is used. Some varieties of microwave popcorn are loaded with fat and sodium, but careful shoppers will also find a selection of microwave varieties that are low in fat and/or are sodium free. 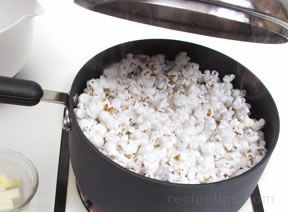 Other than the popcorn, the only ingredient necessary for popping the corn is a small quantity of cooking oil. 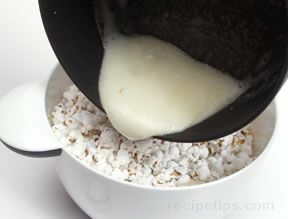 Many people like to season the finished popcorn with butter and salt. It is best to have those ingredients handy so that the popcorn can be seasoned immediately after popping (while it is still warm). 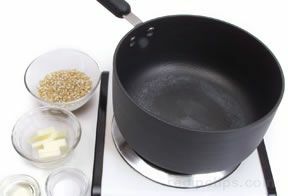 To begin the process, heat a large saucepan or skillet over medium-high heat and add two to three tablespoons of cooking oil. 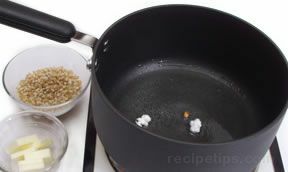 When the oil has heated, add two or three kernels of popcorn to the pan and cover. When the kernels pop, the oil has reached the correct temperature. Add the corn to the pan so that it covers the bottom of the pan but is no more than one layer in depth. 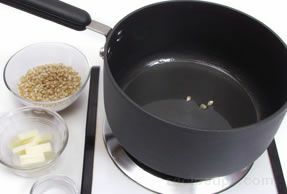 Cover the pan during the cooking process, but make sure the steam is allowed to escape; otherwise, the added moisture will cause the popcorn to become somewhat soggy, resulting in popcorn that will be tough to chew. 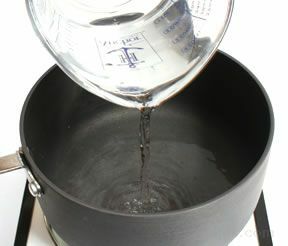 If the cover does not allow steam to escape, simply leave the cover slightly askew to vent the steam. Holding the top of the cover with one hand and the handle of the pan with the other, shake the pan as the corn pops to keep the corn moving in the pan and to prevent the kernels from burning. When the popping slows significantly, remove the pan from the heat. 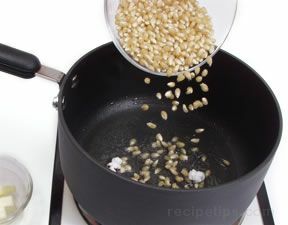 Most of the kernels should be popped, and most of the few unpopped kernels should be at the bottom of the pan. Season the popcorn with salt and melted butter or any other ingredients that are desired; however, adding butter and salt transforms and otherwise healthy snack into an unhealthy one loaded with fat and excess sodium. 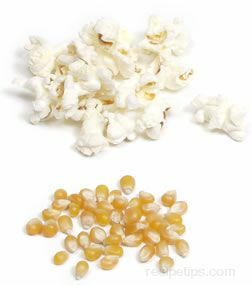 When eaten plain, popcorn is a high fiber food that is low in calories and fat. 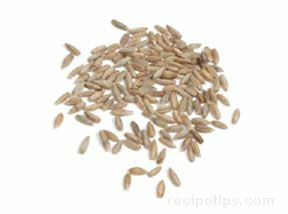 Millet that is cooked to a thick consistency with the boiling/absorption method is desirable when it will be used as a hot cereal or as a side dish similar to mashed potatoes. 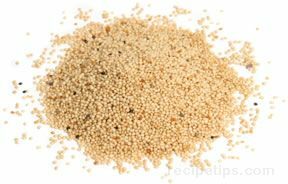 It can also be made into polenta by pressing the cooked millet into a bread pan; chilling it; then slicing it into pieces that can be sautéed, fried, or broiled. The slices are usually served as a side dish, entrée, or breakfast dish. 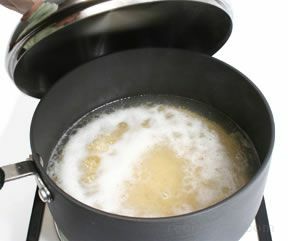 In a medium or large saucepan, bring 3¼ cups liquid (water, broth, or stock) to a boil. 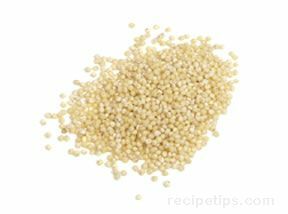 Add 1 cup of rinsed millet and return to a boil. Reduce the heat to low, cover the pan, and cook for 45 minutes. 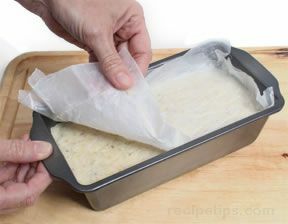 Pack the cooked millet into a 9 x 5 loaf pan. 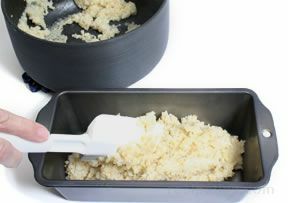 Smooth the surface of the millet using a spatula or spoon. 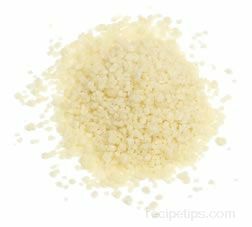 Place wax paper over the millet, and chill for several hours or overnight. 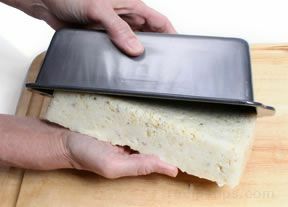 After the millet has chilled for the appropriate time, remove the wax paper carefully. 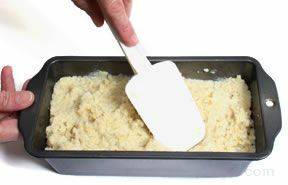 The polenta is easily removed from the pan by simply turning the pan over. The polenta should release from the pan as one congealed mass. 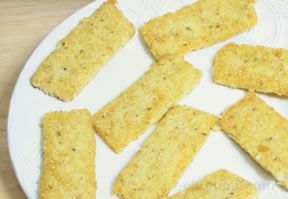 Cut the polenta into ¼-inch to ½-inch slices. 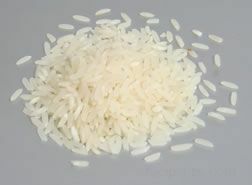 The ¼-inch slices will cook more rapidly and can be sautéed, while the ½-inch slices will require frying. 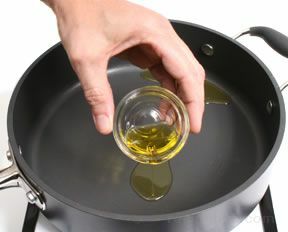 In a large skillet, heat 2 tablespoons olive oil over medium-high heat. 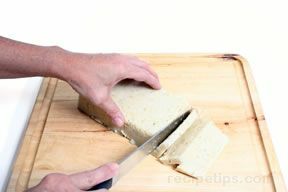 Place the slices in the heated oil and sauté thin slices 2 to 3 minutes per side or until the slices are well heated and browned. Thicker slices require frying for a total of 10 minutes or more. 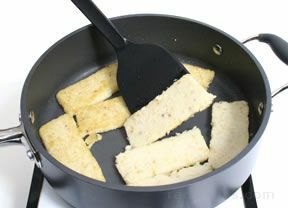 Turn thin slices only once when sautéing, but when frying thicker slices, turn as needed to prevent the slices from burning before the polenta has cooked through completely. Serve immediately. This recipe yields about 9 servings (four ¼-inch slices or two ½-inch slices per serving). 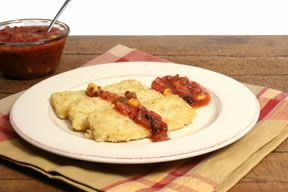 The millet polenta can be served in a variety of ways. Use it as an appetizer or entrée accompanied with salsa. 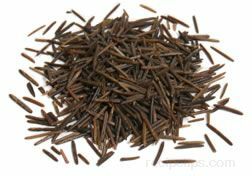 Serve it with meat, fish, or poultry, as a substitute for potatoes or rice, or cover it with steamed or stir-fried vegetables. With the addition of butter and syrup, it can be served as a tasty breakfast dish.